The patron saint of firefighters, St. Florian, is said to have put out a fire with a single bucket of water, saving a whole village. 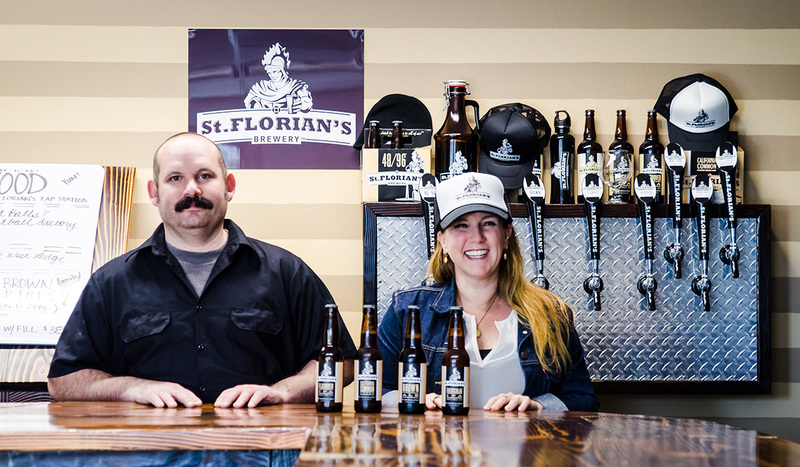 True to its namesake, St. Florian Brewery’s story is one of generosity and a notion of “not in my backyard” to boot. It was nearly 8 p.m. on a blustery fall evening in Windsor, California, when Amy Levin met her husband, Aron, for dinner at their favorite neighborhood hang. The two looked up at the flagpole outside Padre Mi Pueblo and stopped in their tracks. “Wind’s blowing due north,” Aron had said as he hung his head. “You just had to say it out loud,” Amy said. 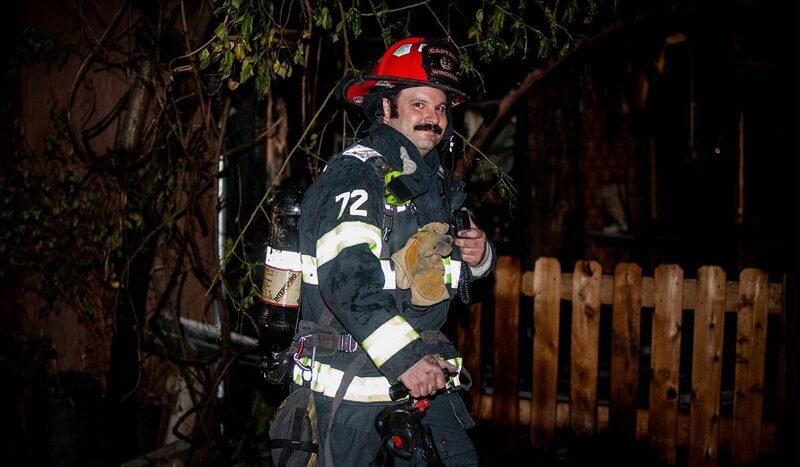 Aron had been fighting fires for more than 20 years, but this was to be his first shift as Acting Battalion Chief. All it took was a spark the evening the Sonoma fires broke out. “We were in for a good fight that night,” Aron recalls. “The winds were crying – not howling, crying,” Amy says. She says she’s never heard anything like the 80 mph winds that tore through the hillsides. She and their two boys, Cooper and Karlsen, hunkered down in their home just minutes from the brewery and waited to hear from their very own patron saint that night. It would be nearly a week before his return. Eventually, the fires were extinguished, and residents returned to take account of the devastation. In true form, these folks have proven #SonomaStrong. “It’s going to take time to rebuild,” Aron says. Firefighting is a lifestyle for the Levins and has been from virtually day one of their courtship. “It’s your life, your heart, your soul,” Aron says with a smile. Still, this is one love story beginning with beer. It all started when Aron’s cousin brewed for Black Diamond Brewery back in the day. “I brewed in the late 80s out of curiosity, but it also gave me something to drink,” he laughs. “He wooed me with it,” Amy says. She remembers how hard Aron worked on the award-winning California Common, a native San Francisco-style beer with malty notes balanced by the crispness of a lager at 6% ABV. This flagship can sure clear a lot of “steam” from your palate after a long day of wine tasting, and it’s a recipe that Aron perfected right up until the day they opened St. Florian’s doors in 2013 in the quaint town of Windsor. Amy grew up in the Bay Area, whereas Aron hails from Northern California up near Humboldt County. “This was just my happy medium of heaven,” Amy says. She remembers when Aron accepted the Windsor firefighting post. Drive the downtown streets of Windsor, and you’d swear Aunt Bee and Andy packed up Opie and headed for wine country. This Mayberry of a town is lined with brightly painted shops, offices…even the McDonalds looks charming. “It’s quintessential family,” she says. Cooper and Karlsen, 9 and 8, grew up here. From chemistry to accounting and marketing, the boys know what it takes to run a brewery. “We teach them things that they’re allowed to do,” Amy winks. Aron has high hopes that at least one of his sons will become a master brewer. 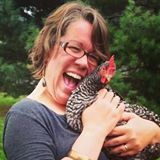 The couple is very yin and yang when it comes to developing recipes, according to Amy. But everyone agrees that brewing is a release from the firefighting lifestyle. “It’s more [about] creativity. I’m not responding to someone’s emergency or bad day,” Aron says. Even still, brewing and fires share a few things in common. “There’s no quitting or stopping. If you’ve got a task, you work through it. Brewing is nice because you don’t have to deal with the tragedy; but with brewing, you’re comforting someone. In a way, that’s my job as a firefighter – to make someone’s day better,” he says. Firefighting and brewing go hand in hand at St. Florian’s. One of the most common firefighter’s schedules is 48 hours on and 96 hours off. It’s the inspiration for St. Florian’s 4.8% ABV Citra Session ale – known as, you guessed it, 48/96. While there are 12 tap handles, including a root beer, it’s the “First Responder” handle garnering the most consistent attention that rotates through the Levins’ experimental beers. “Setting Backfires,” which was on rotation this fall, is an imperial scorpion pepper sour ale. Think Thai Food without the lemongrass. While Amy is the self-proclaimed “wild child of the bunch,” Aron developed the flavor profile on this one. She says that he has a knack for toning down sour notes and nails it every time. Amy and Aron fan one another’s flame, particularly when talking about the charitable nature of St. Florian Brewery. 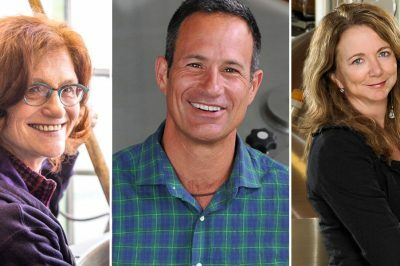 As a rule, the brewery donates a minimum of 5 percent of all their profits to fire-related nonprofits. It was the Sonoma fires that led St. Florian to devote 100 percent of their fundraising efforts to first responders. “These guys didn’t even stop to question if they had lost their own homes as they headed into the fires,” Amy says, while Aron adds that he simply saw it as an opportunity to do something good. 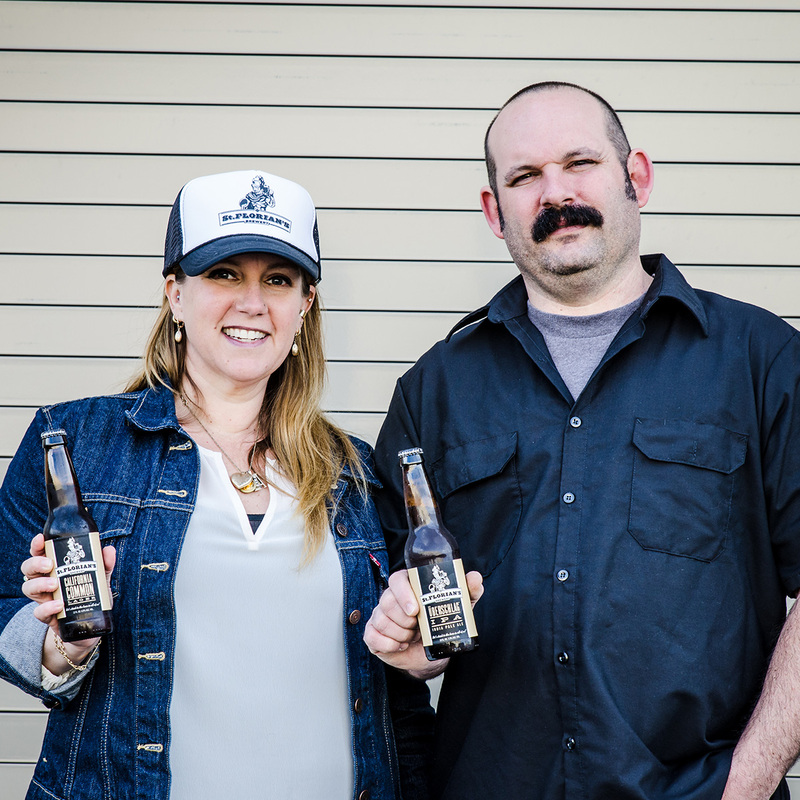 St. Florian Brewery was one of more than 50 small and independent breweries that joined the Sonoma Pride fundraising effort in response to the fires. Breweries from California to the Deep South brewed a beer under the Sonoma Pride label, donating profits to the foundation. Together, the breweries raised more than $450,000; the funds have already been able to help more than 65 families impacted by the wildfires. Without hesitation, Aron remembers the glimmer of a spark that would become St. Florian Brewery, “Amy! I have a passion for it. I enjoy it. So, when she came up with the idea it wasn’t a hard sell.” The two beam at the mere notion of a legacy they will one day leave behind. “If the only thing we did with this brewery was philanthropic, to teach our kids how to do the right thing…I’m fine with that,” Amy says.